Minimum 12th Standard. Perfect course for graduate students to start their professional career. Professionals with experience can look forward to gaining higher career growth right after this course. Caba also provides job option for students to earn while you learn. The Master’s Diploma in Multimedia, Animation, Web Design Diploma is a technical course and is backed by 100% Job Guarantee or Money Back. 23 Years of rich industry and education experience gains Caba’s students to get better insight of the job markets. 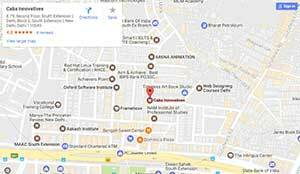 Caba Innovatives A Multimedia Animation Institute is one of India’s first multimedia training and certification institutes. It has been serving the industry since 1993. Our 18 months Master’s Diploma Program is an industry-recognized qualification and our most popular course with hundreds of graduates serving all industry segments and verticals including print, broadcast and digital media, software and production houses. Our introductory course in computers and multimedia is designed to provide you with an overview of computer fundamentals. No prior knowledge of computer hardware and software is assumed. The course covers important computer operations such as starting and shutting down the system, launching, installing and uninstalling applications, system backup, multitasking and general system maintenance. You will also gain an in-depth understanding of the Windows XP operating system with specific reference to multimedia applications. Visual elements such as line art, photographs, drawings, graphs used in spreadsheets and images used in CD-ROMs/usb’s help students in visualizing and conceptualizing illustrated image projections on digital formats. The software packages you will learn during this semester will help you to develop a clear understanding of design concepts and application, texture, design and image editing. The primary focus of the course is to prepare you for careers in print media including the newspaper, magazine and book publishing industries. The international quality of training and instruction we deliver in this course also prepares you for career opportunities in the highly lucrative and well-paying book publishing BPO sector in India. Your final creative outputs will also include brochures, media kits, sales and marketing collateral, full length books and much more. In short, you will be all set to embark on the path to becoming a seasoned print industry professional. The news channels are currently using these knowledge assets in a big way today thus adding to your marketability and career potential. The course also serves as a launching pad in which the instruction and training you have received in semesters 3 and semester 4 in graphics and animation merge with digital audio production and editing to provide you with a well rounded skills set to independently apply your knowledge to live projects in real time. Learn how to title and sub-title video footage as well as how to create and trigger flame effects. We will also teach you how to eliminate rough shots and merge all the various elements and components of digital multimedia into a cohesive whole. Instruction delivery is also provided in key areas such as interactive and Web 2.0 designing, interactive web animation, dynamic banner designing and web enabled special effects. The course also provides an overview of web photography, audio and video server streaming technologies. The industry-focused emphasis of the course prepares you for highly sought after careers as a web designer and web specialist in diverse industry verticals such as web technology companies, software solutions providers, e-commerce portals, online shopping and e-tailing companies and practically any industry segment in which the Internet has a role to play. Students enrolled in professional courses are typically evaluated during job interviews on the basis of their portfolio and project work. With a view to recognizing this key element in the pedagogical process, Caba has constituted a fully functional internship program in which students receive direct industry exposure by working as an intern. We help you organize both your online and offline live projects into an impressive portfolio that is also web accessible. The end-semester project is your platform to showcase and even show off all the cutting-edge training you have received from Caba in a controlled and instructor-led environment. A. You will be employed with graphic design, animation companies, media post production houses, news channels, web design, web hosting, web media companies, education companies and more importantly with many MNC’s due to the rising digital media popularity around the world. Q3. What is the future scope of 18 Months Course? A. This courses is the only course in entire country taught and designed by Caba Innovatives with its experience of 20 years in the field. This courses offers an all rounder digital media artist diploma that provides job in more than 25 fields of the digital media industry. Starting salaries may not be more than Rs. 8000 – Rs.14,000/ per month but the scope of the rising industry has not provided less than 1 lack Rupees to professionals with minimum 7 years in the field. We train you to achieve senior positions in digital media companies from the very start. A. Yes, this is the most rewarding career today compared to any other technical field. For future enhancements it is strongly recommended that a minimum of 18 months must be spent in creating portfolios during the course to attain a good start of career.